Rows of Afghan dignitaries, military, police and mourners pay last respects to six parliamentarians including opposition leader Mustafa Kazimi, during a state funeral near the Darulaman Palace, in background, in Kabul, Afghanistan on Thursday November 8, 2007. The lawmakers and six of their bodyguards, who were also killed in the attack, were buried together in a place of honor near the location of a planned new parliament building. 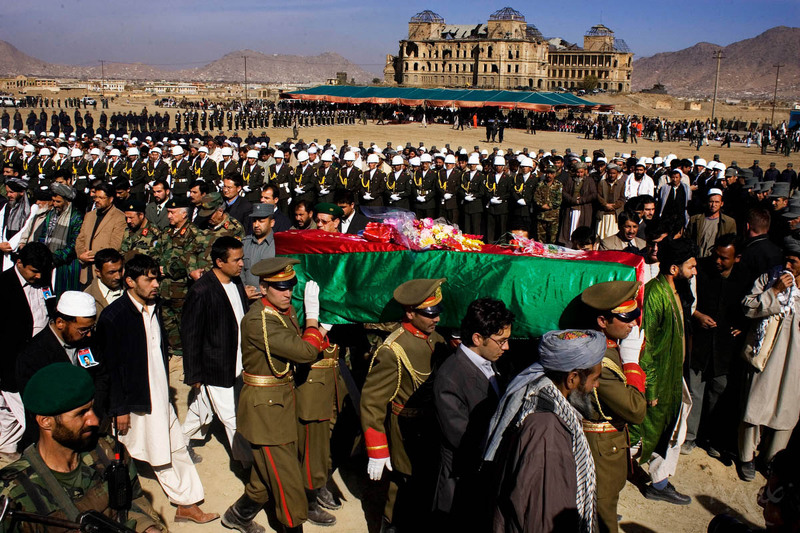 Thousands attended the official ceremony during the second of three national days of mourning for the 52 killed in a suicide attack in Baghlan province on Tuesday, November 6, 2007.